If you're looking for a bouquet whose colors positively glow with the joys of life, She's So Darling has it all! Bursting with an irresistible array of fresh carnations, roses and alstroemeria in blissful pink tones, along with delicate accents of baby's breath and a delightful pink ribbon -- this bouquet is a floral symphony composed of pure sweetness! 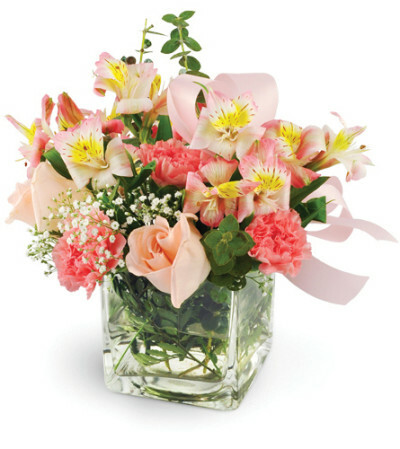 Roses, carnations, alstroemeria, baby's breath, and eucalyptus are delightfully arranged with a pink ribbon in a clear glass vase. The Floral arrangement I ordered was absolutely Perfect! My friend was blown away how gorgeous the arrangement was. 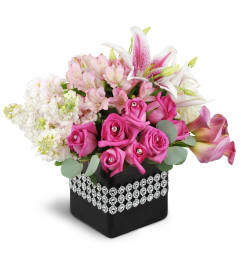 Gorgeous Flowers and delivered when stated. Thank You! 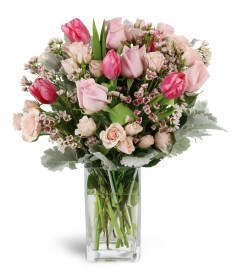 Orange County Florist is a Lovingly Florist in Orange. Buying local matters. Discover how Lovingly supports local florists. Copyrighted images herein are used with permission by Orange County Florist.